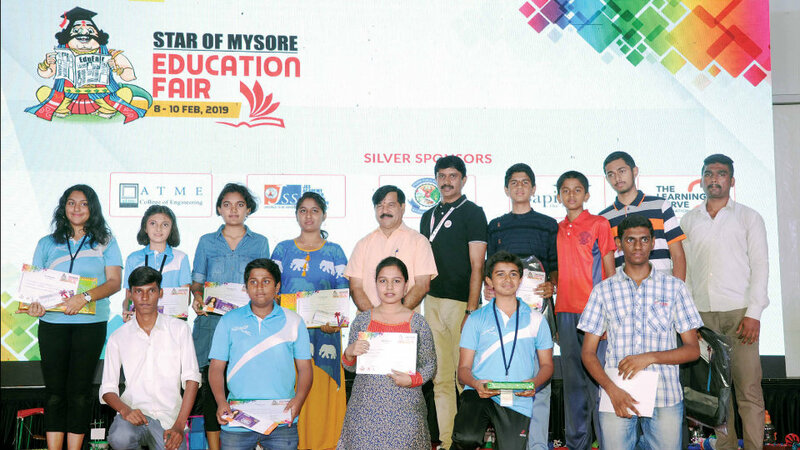 Mysuru: Krishnaraja MLA S.A. Ramdas has lauded Star of Mysore for organising the three-day Education Fair at Maharaja’s College Grounds for bringing students, parents and educational institutions under one roof for better education prospectus and the future of children. Speaking after visiting the Fair yesterday, he described it as one of the important effort by Star of Mysore taking into consideration the academic future of children and added that the fair was successful in clearing doubts of many students of their future education of what next after SSLC and PUC. “I saw students comparing the facilities of their school with other schools after having one-to-one discussions at various educational institutions stalls at the Fair. A sixth class student named Aditya told me that he has been collecting information regarding the type of education he could get in other schools when I asked this student about the Fair”, he said. Ramdas said that a CFTRI School student told him that his school was the best with all facilities and added that the student told him that he would inform his school heads to bring in some changes. The MLA further said that a student of Rotary School told him that he came to know about multiple options for studies after visiting the fair and added that the Education Fair was a grand success. Stating that the Education Fair acted like a bridge between students, parents and educational institutions, Ramdas said that Star of Mysore should continue to hold such education fairs regularly for the benefit of students and parents. Highlighting the programmes undertaken by his Aasare Foundation, he said that the Foundation has been conducting free coaching classes for SSLC students since 15 years besides boosting confidence in them. The Foundation has received hundreds of registration for free coaching classes in the stall it had set up in the Education Fair and added that the Foundation is also focusing on school dropouts to bring them back to schools.